Designed to fit any Barrier Fence Panel, our Premium Barrier Fencing Covers are custom-made from an exceptionally lightweight and high-quality AirMesh fabric to reduce wind loading. Double sided print. Full colour printed using dye-sublimation technology for vibrant, hard-wearing and weatherproof performance. Complete with strong stitched hems and metal eyelets for easy fixing using cable ties or bungee clips. 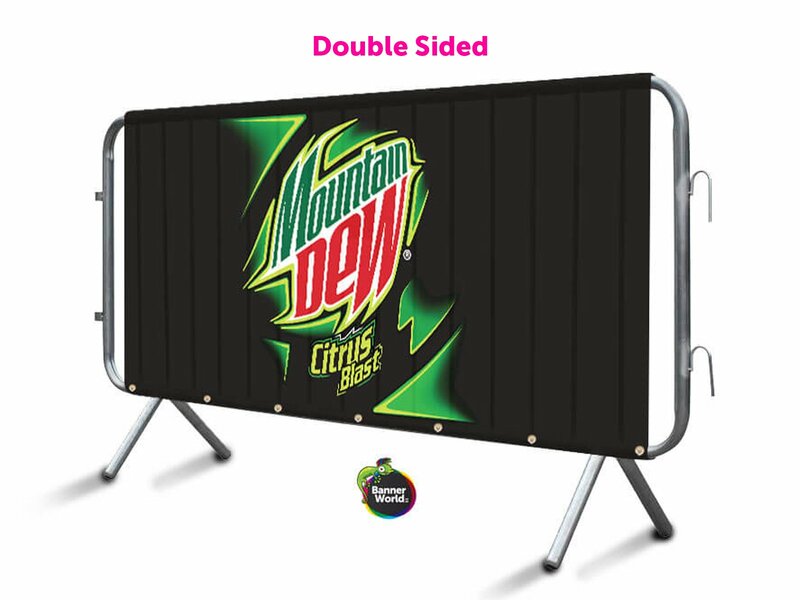 Premium Barrier Fencing Covers double sided allow users to cover an unsightly or private area and advertise brands and events with maximum impact on prime advertising space. Suitable for use on construction sites, residential properties and public events such as festivals. Premium Pedestrian Barrier Fence Covers are printed to order from your artwork. As our printing is full-colour process you can include photographs, logos and any other graphic elements in your design. 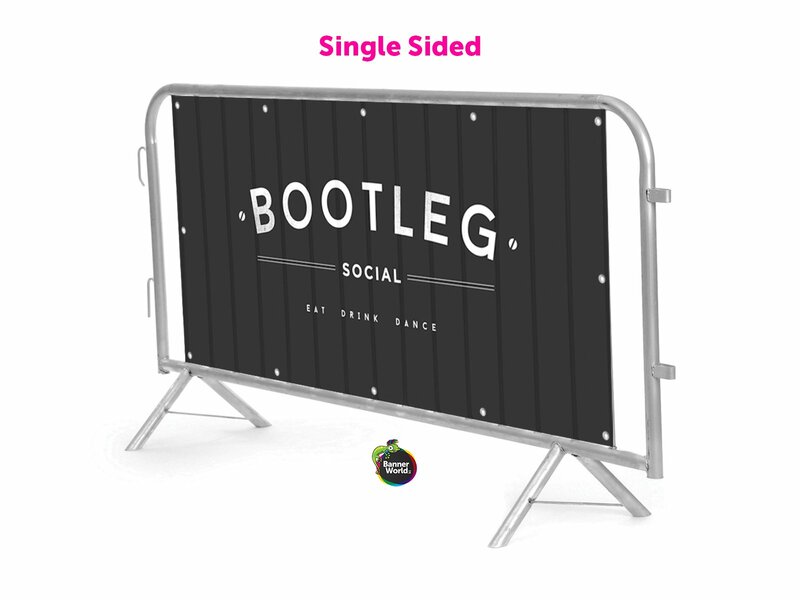 Fully re-usable, these pedestrian barrier covers can be easily removed and used again and again to promote your event or brand. Easy to pack and transport, each cover weighs in at less than 0.9kg and can be folded to 25cm x 25cm x 8cm for storage. Banner World Premium Barrier Fence Covers are used by major event organisers and construction site managers around the UK and Europe. We manufacture these Covers to order and to any bespoke size or finishing requirements. As an alternative to individual fence covers, we can supply AirMesh Flag as a continuous length or in 10m, 20m and 50m sections. This is ideal when you need to wrap an entire length of fencing in one hit. You can design your fence cover at actual size or to scale, depending on the software you use. Ensure that your final print file will scale up in proportion to the size of cover you have ordered. Ensure that no critical information is within 100mm of the edge of your cover design, this allows room for eyelets, hems and other finishing options. Background images and graphics are fine, just be wary of text, numbers and logos. Fence covers are first and foremost an advertising medium. Information displayed should be clear to read – consider how far away your target audience will be. If your cover is intended to be viewed from a distance then the contrast should be high and typefaces need to be legible. If you try to cram too much information onto a banner then the text may end up too small to read! No. 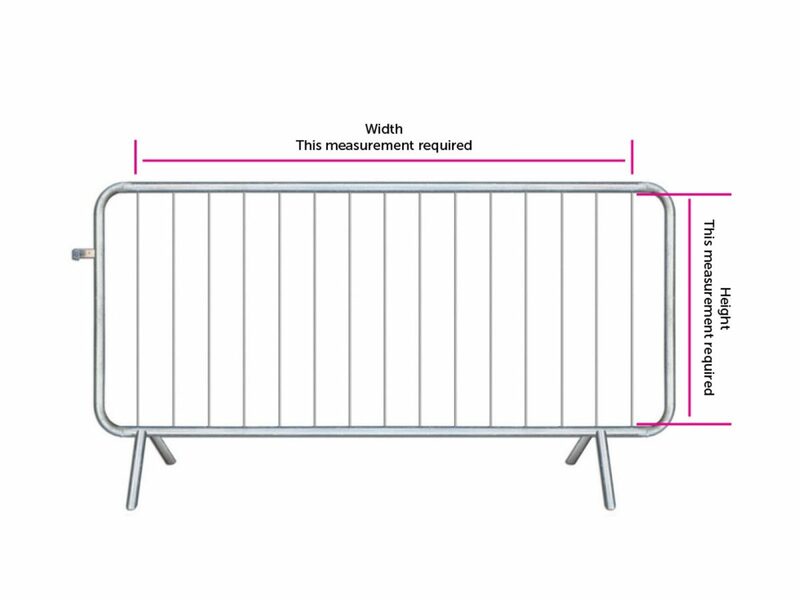 Different manufacturers of pedestrian barriers specify different sizes. Please measure your barriers before ordering! Can I have these double-sided?